Stage One of improving the amenity of the Arthur Campbell Reserve on Fern St in Gerringong is virtually complete, thanks to the work of a steering group of local residents. Alma Macpherson, Jennifer Gardiner, Penny Sadubin, Darrell Clingen (South Precinct), Laurie Woollcott (Men’s Shed) and Karl Kunz (Lions) are turning the underutilised space into a community asset. “This is very much a community driven project, and has come out of Alma and Jen’s efforts to save this reserve from development,” says Penny Sadubin, who has designed the space. “Council have done a great job putting in the garden beds we specified and connecting water to the site. The next stage is to landscape the rest of the site to encourage playful interaction through the use of rocks, logs and natural elements. 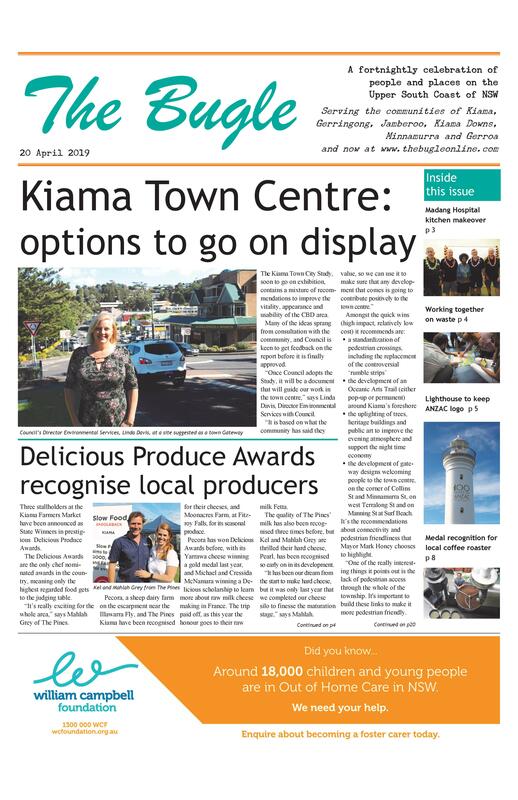 Council has allocated a total of $40,000 for the improvements, and Gareth Ward, Member for Kiama, has recently secured a $4000 for a drinking fountain.